What would make a new fragrance launch the talk of the town? 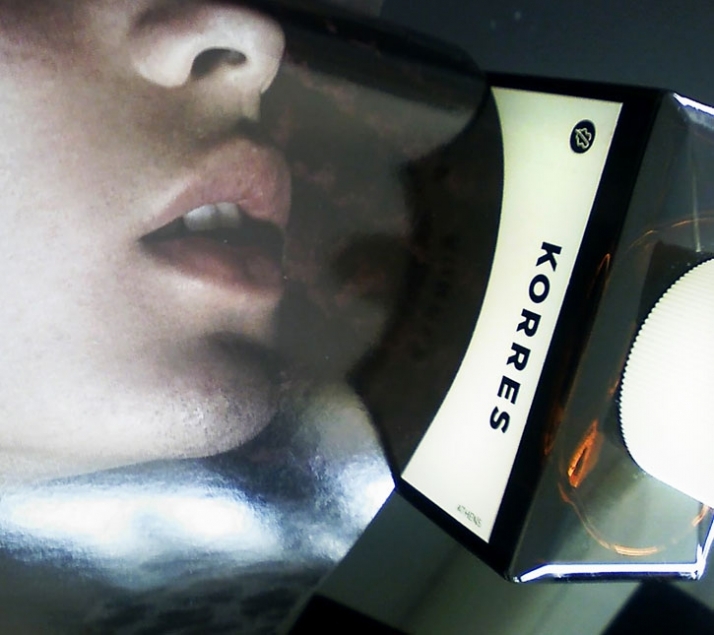 Well, KORRES has the answer. The Greek skincare brand's new perfume arrival turned into a celebration, a tribute to the fragrance itself. 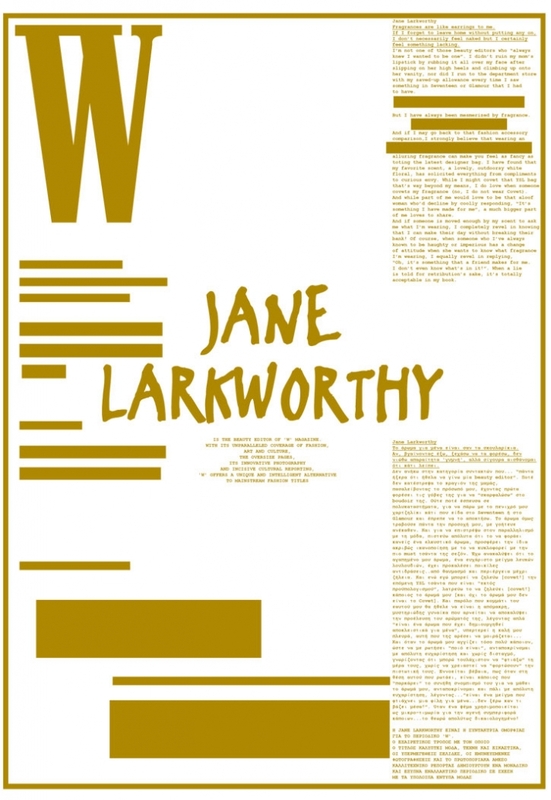 A great occasion for W's Jane Larkworthy and NYLON's Fiorella Valdesolo to share their testimonials with us. 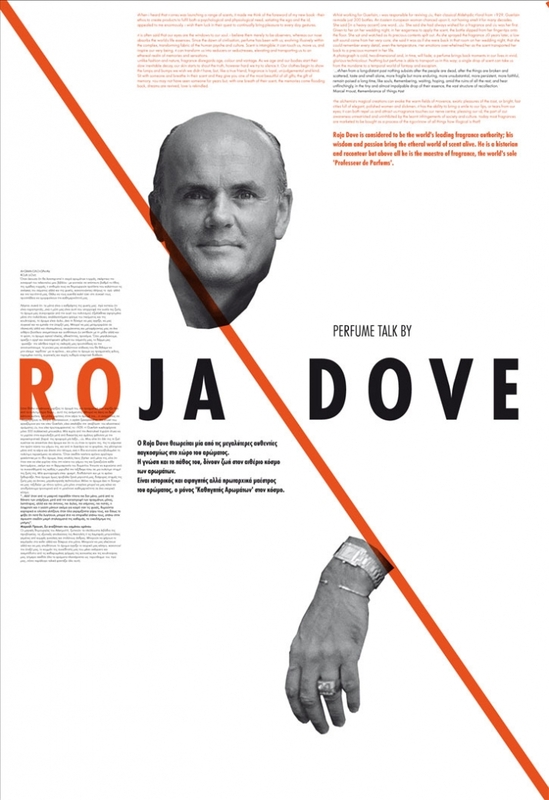 Also a challenge for Roja Dove, world's sole Profeseur De Parfums to dig deeply into fragrance's unique features and reveal them to the rest of us. Stavros Papayiannis with his beautiful concept pictures, Thanos Samaras and his Blythe doll Mary Collins and also the design team Greece is for Lovers joined this homage to the perfume. then a scent can speak a thousand volumes. " 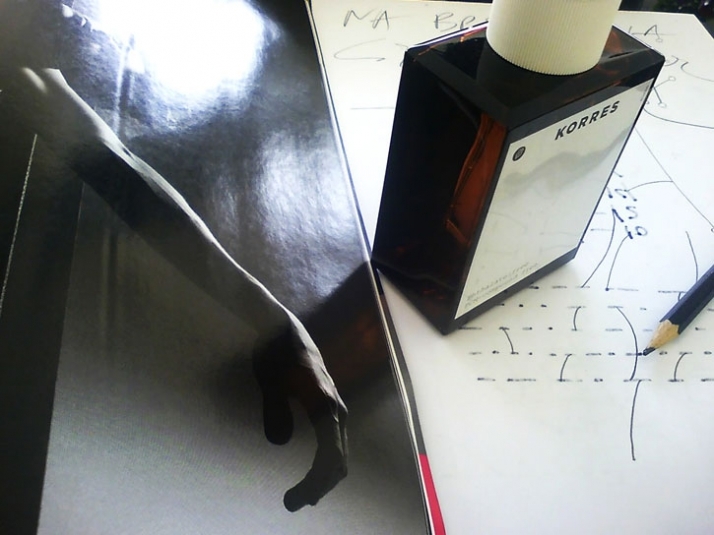 Yatzer is proud to exclusively present the frag-zine KORRES created especially for its fragrance launch, the editorial concept of which was developed by the brand’s global Communications Director, George Anthoulakis. This frag-zine was distributed to specially selected Fashion Gurus and Beauty Experts who attended this great event. Be among the first to enjoy the festive atmosphere and share this limited edition album of fashion and art. 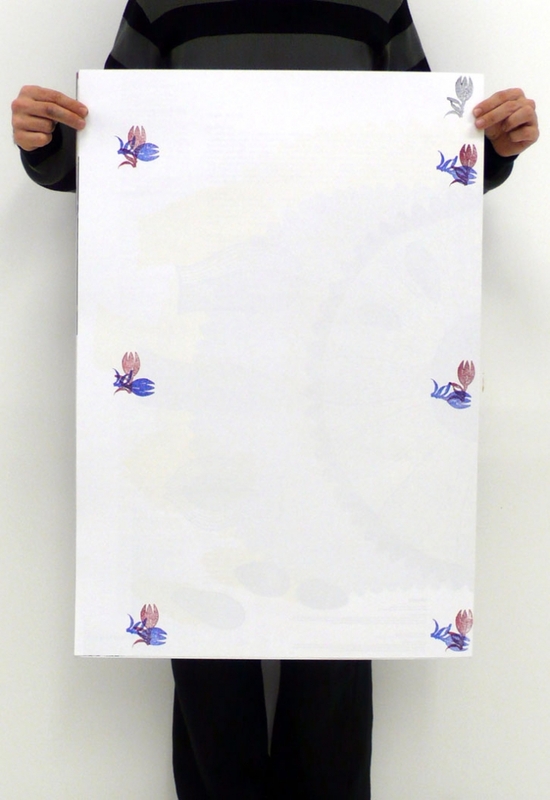 κ2 design, the team behind the design and materialisation of the frag-zine, developed 500 hand-made covers using various multi-colour stamps, adding therefore a truly collectible dimension to the project. Thanos Samaras is a rising talent that caused sensation some years ago when he first appeared on Athens' theatre scene. He continues to surprise us every single time with the way he brings his characters to life, including his most recent outstanding performance of Osvald, in Ibsen's Ghosts, one of the biggest hits during the last Athens Summer Festival. 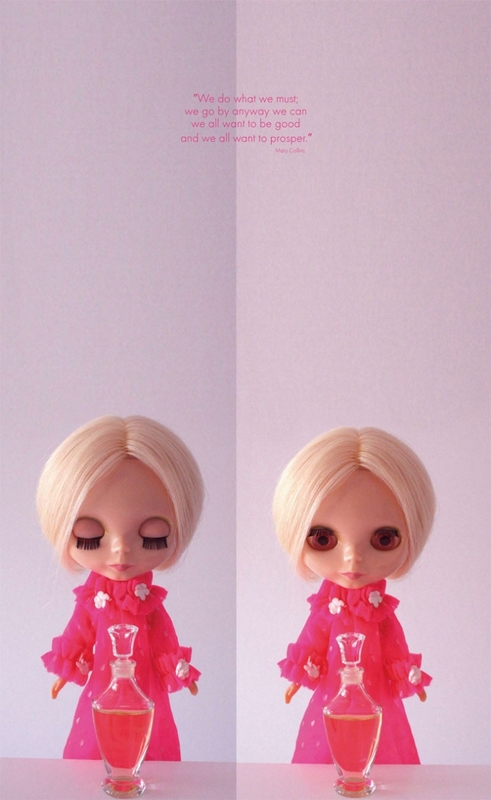 In his free time, Samaras is a doll-curator and his fixation with Blythe Dolls was finally officially recognised, when he was presented with an award during the annual international Blythe Doll Design contest held in Tokyo earlier this year. 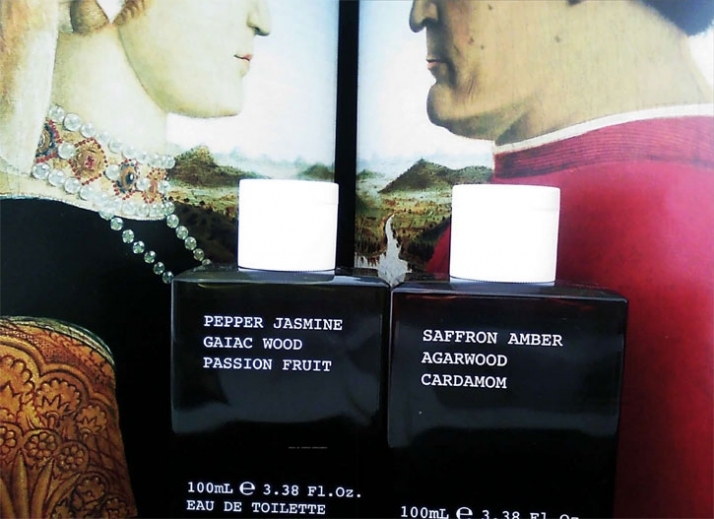 There is no doubt that ancient Greeks, both men and women, loved fragrance and often used myrrh and oils. A fact confirmed not only by numerous ancient finds, but also by the literature of the time. Not everyone however seemed to be sharing this enthusiasm. In fact there was a lot of anti-fragrance ''voices'', Solon (640-560 BC) a great politician-legislator and one of the seven wise men of antiquity, being one of them. Solon attempted to diminish fragrance trade, as he feared that the import of the raw ingredients needed for fragrance production, would have a disastrous impact on Athens' economy. Despite his efforts, Solon did little to limit fragrance's popularity; so did poet Xenophanes of Colophon almost a century later, who protested against the Greeks' liking for Lydian habits, such as men wearing make up and perfume. Another famous anti-fragrance campaigner was the great philosopher Socrates (470-399 BC) who often undermined men who scented their bodies just like women. One can only guess how frustrated ethics-led Athenians became two generations later, when things were only getting worse. Men's effeminate behaviour is best described in Athenaeus' The Deipnosophists, according to which, men even got to the stage of buying a number of fragrances so they could use a different one for each part of their body. 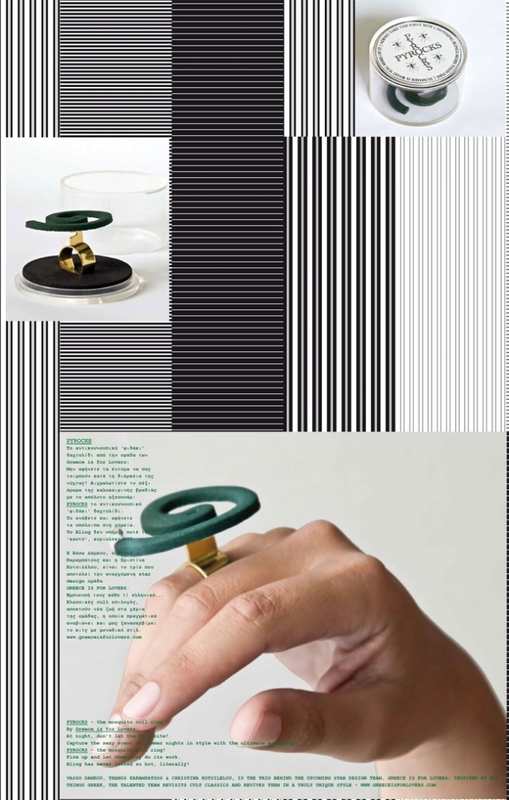 PYROCKS - the mosquito coil ring! At night, don’t let the bugs bite! Fire up and let chemistry do its work. Bling has never looked so hot, literally! "Fragrances are like earrings to me. If I forget to leave home without putting any on, I don’t necessarily feel naked but I certainly feel something lacking." 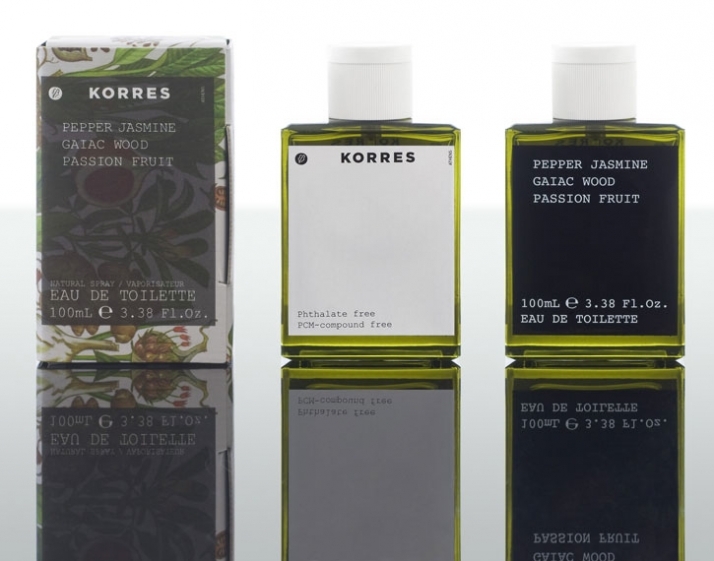 "When I heard that Korres was launching a range of scents, it made me think of the foreword of my new book – their ethos to create products to fulfil both a psychological and physiological need, satiating the ego and the id, appealed to me enormously. I wish them luck in their quest to continually bring pleasure to every day gestures." Roja Dove is considered to be the world's leading fragrance authority; his wisdom and passion bring the etheral world of scent alive. He is a historian and raconteur but above all he is the maestro of fragrance, the world's sole 'Professeur de Parfums'. "I HAVE NEVER PUT ANY PERFUME ON IN MY LIFE"
Christos Treiantafilides, owner of Menswear boutique "Christakis" and one of Athens few treu Gentlemen. What is fragrance nowadays? 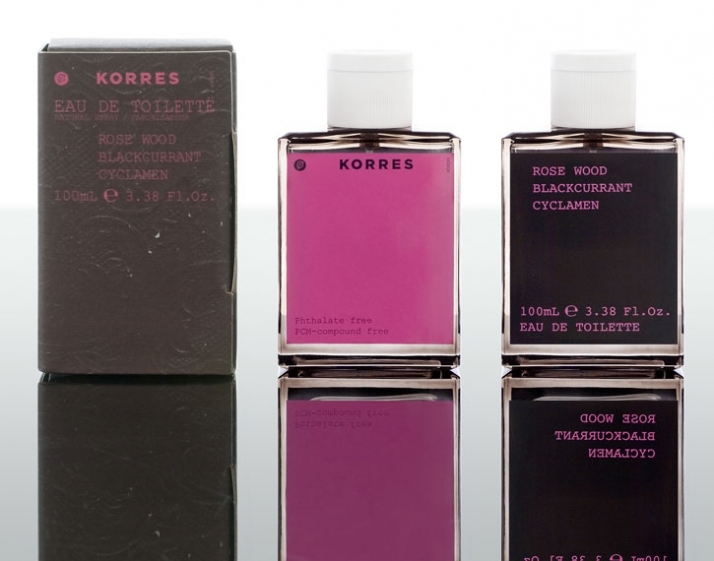 For George Korres it's 'an expression of individuality and mood, a reflection of the various sides of one's self. A unique fragrance. Not easy. Not temporary'. 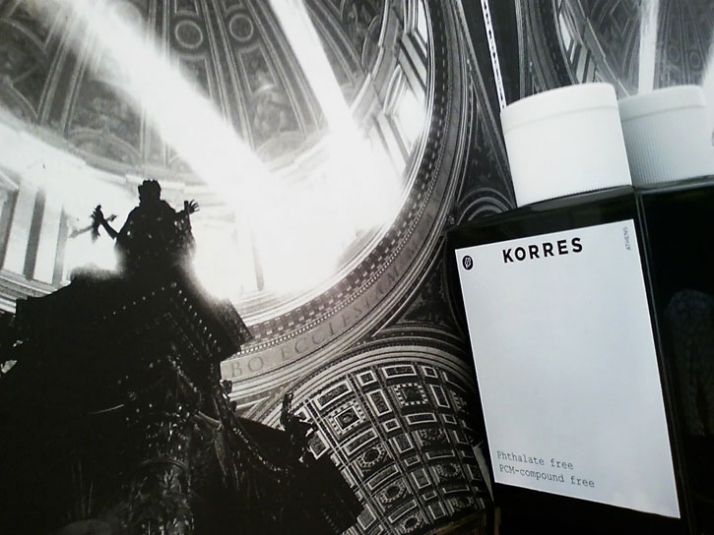 A fragrance that carries the Korres ID, expresses the personality of the brand while protesting partly against it; the focus is on Korres' trademark aesthetics, which on this occasion overshadows the discreet low-profile of the brand. A fragrance that is translated into three  different blends, each of which was created independently. 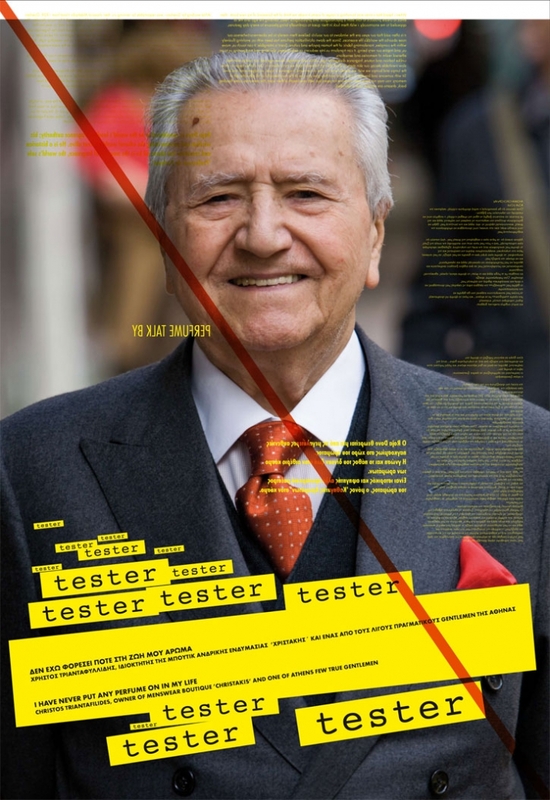 Grasse, Tokyo, Geneve. 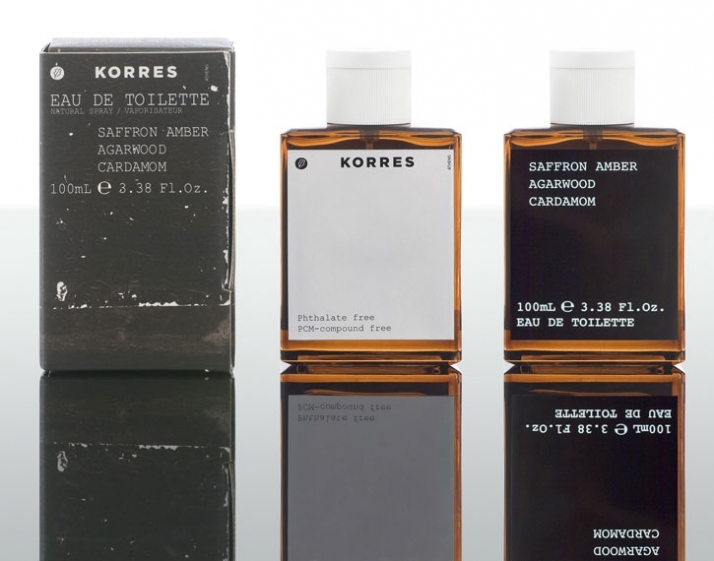 One brief, yet three of the world's leading perfume houses working closely with George Korres - one perfume house for each scent. Simple, strict bottle at a first glance...a closer look reveals all its qualities... the tiny yet significant details like its 'broken' corners. 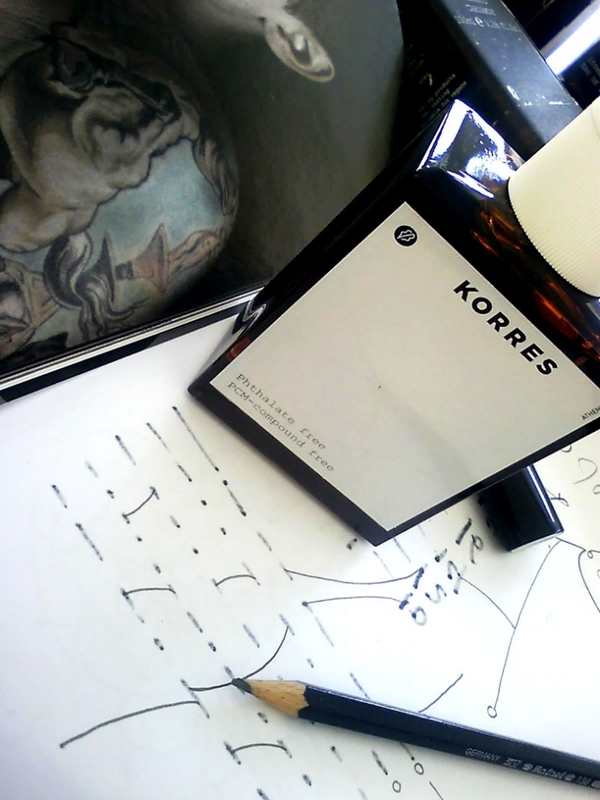 A special mould had to be designed from scratch...it was developed in Normandy by a small unit of quality glass productions, exclusively for Korres Fragrance. 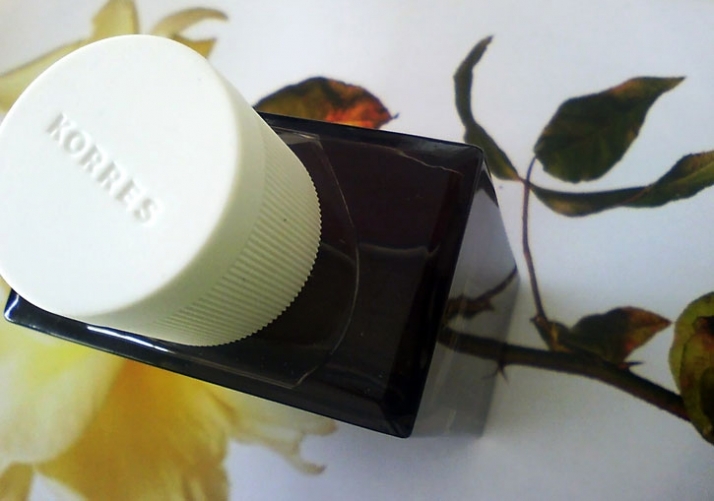 The selected colours signify pharmacy bottles; their luxury is 'smashed' by the use of the pure white soft-touch lid, a truly strange choice for a perfume top, but in tune with the brand's trademark concept of contrasts. 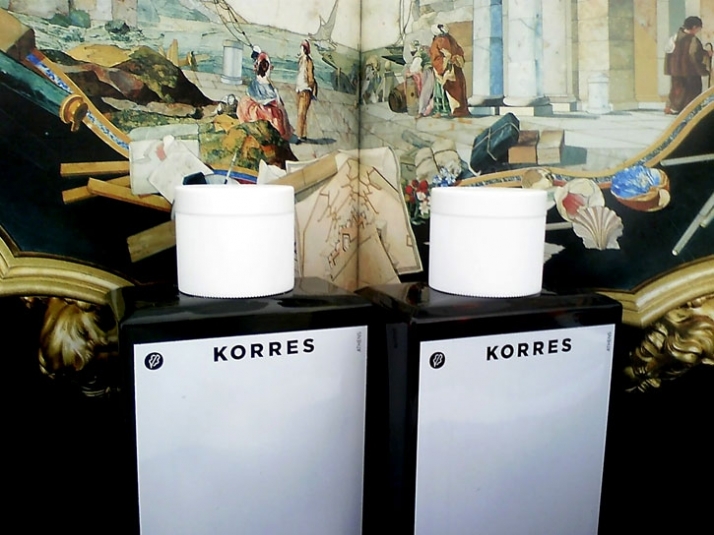 The use of the white symbolises pharmacies and labs, spaces that establish the Korres heritage. The result elegant, individual, strict, simple but also a design statement. 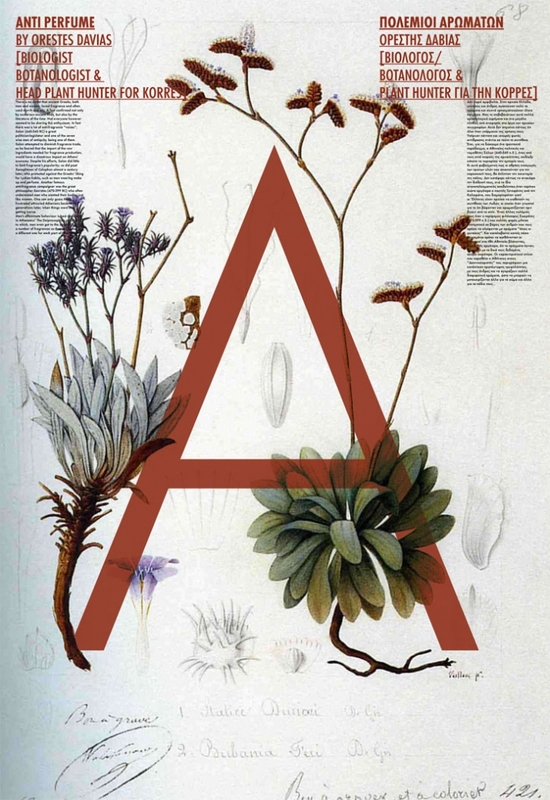 The artwork featured on the fragrance boxes comes from George Korres' extensive vintage-homeopathy-books collection. 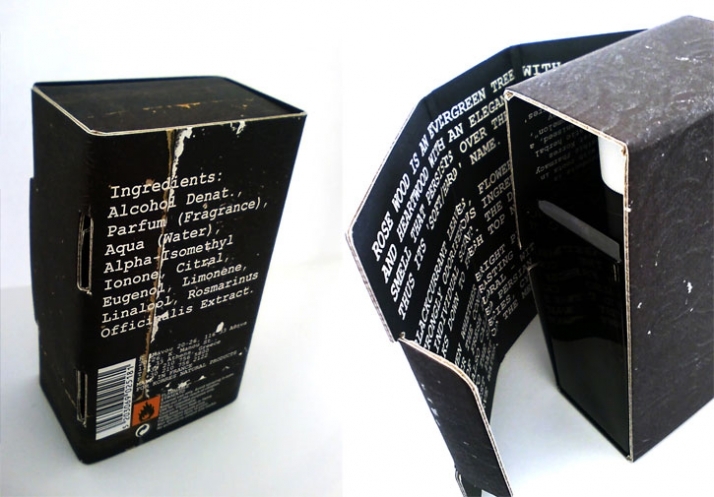 The boxes open up like books to reveal the history of each scent inside. Rose wood is an evergreen tree with a reddish barkand heartwood with an elegant, uplifting sweet floral smell that persists over the years, explaining thus its “soft/hard” name. Blackcurrant leaves, flower buds and berries, carry strongly odoriferous ingredients, lending the plantan individual scent. The distinctive aroma of blackcurrant breaks down to fresh top notes and a sharp fruity background. Cyclamen whether bright pink, red, purble or white, bring together the contrasting yet complementary richscents of fresh floral – with notes of rhubarb – and musty greens. Also called Persian violet, despite not being related to the species, cyclamen leaves die down during the hottest part of the Mediterranean summer drought to conserve water. Saffron more commonly associated with the cuisines of India, Morocco and Spain, fist appeared in Greece. It is Kozani in the northwest part of the country – that continues to produce the world’s finest saffron, an almost bitter-taste spice. With over 150 volatile and aroma-yielding compounds, Saffron’s original and seductive aroma has often been described by connoisseurs as reminiscent of metallic honey with grassy, hay-like notes. Agarwood or agar, is the aromatic resin that is formed within the heartwood of the aquialria trees. The complex yet pleasing and distinct aroma of agarwood has almost no similar analogues-probably the secret behind the wood’s highly prized past-status as well as its great cultural and religious significance in ancient civilizations. Cardamom, one of the most expensive spices, carries a strong unique taste and intense aroma. A traditional open-flames-drying process lends a smoky flavour to the spice, that has had enjoyed several medicinal and culinary uses. Strongly associated with the middle eastern and Asian culture, cardamom has often been used as a valuable offering during rituals. Pepper or black gold as per its yesteryear-currency status, was established early on for its distinct flavour. Characterised by a combination of piquant, fresh notes and citrus, wood blends, peppercorns have a timeless appeal that spans centuries. Jasmine is a climbing deciduous shrub with fragrant white or yellow flowers. The so-called jasmine absolute one of perfumery’s most sought-after ingredients is universally known for its intoxicatingly sensuous, intensely floral, warm, rich, sweet and exotic aroma. In Greece jasmine’s sweet smell is associated with blooming gardens old-style yards and open-air cinemas. Gaiac wood oil, obtained through steam distillation, has a mild, “precious-wood” scent, as well as stimulant and rejuvenating properties. Gaiac tree-meaning wood of life-owes its name to its medicinal qualities. Passiflora is a genus of about 500 species of tropical flowering plants, most of which have evolved a wide variety of intense, vivid flowers with a distinct fruity scent as a means of attracting pollinators. Among them, only one has the exclusive designation of passion fruit. Passion fruit juice is rich-flavoured and strongly, but pleasantly aromatic.